Coca-Cola was created in 1886 by John Pemberton. Today Coca-Cola is one of the most popular soft drinks in the world and is sold in all counties around the world. 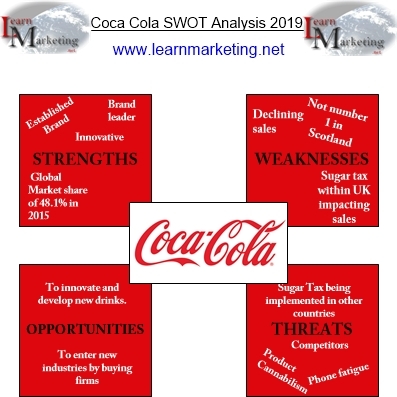 In this article we will complete a short SWOT Analysis for Coca-Cola. The SWOT analysis of Coca-Cola covers all key strengths, weaknesses, opportunities and threats. It gives you general idea of the current situation that Coca Cola is in.